Lt. Urban "Ben" Drew of the 361st FG in a turning duel. 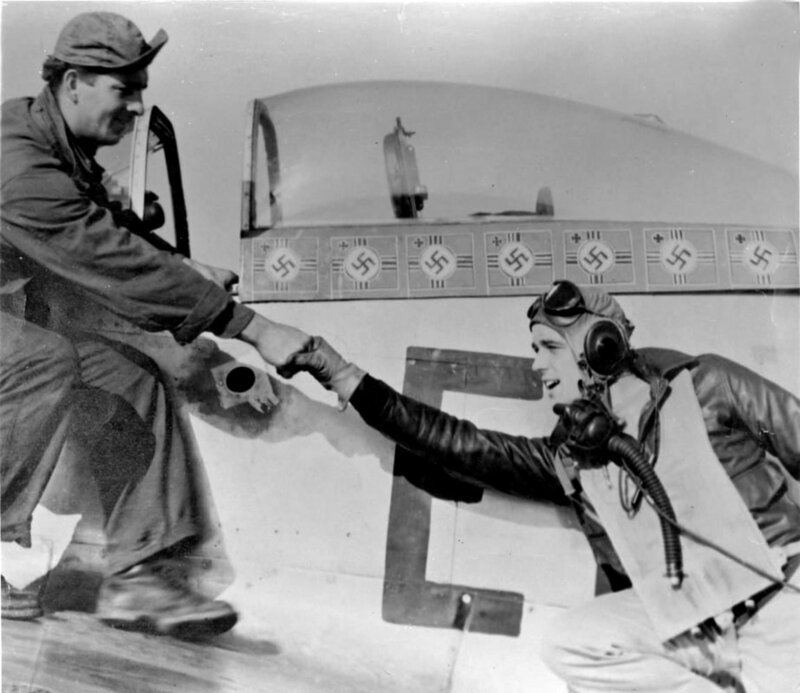 Lt. Urban "Ben" Drew of the 361st FG pursues a Bf 109 from III./JG 53 during the August 25, 1944 mission to Rostock. 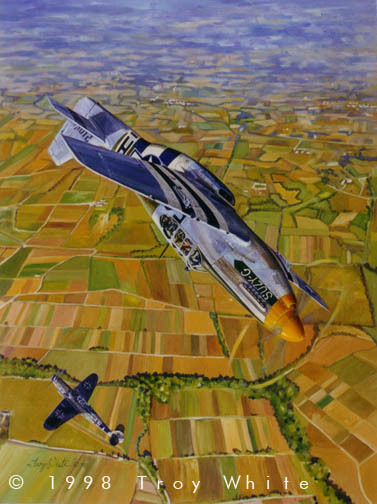 Flight-leader Drew was flying "Suzy-G", Frank Glankler’s veteran P-51B Mustang, instead of his "Detroit Miss" due to a faulty supercharger detected in his Mustang after take-off. Drew and the German pilot engaged in a drawn-out game of chase, both spiralling downward until the Bf 109 finally had to pull out. 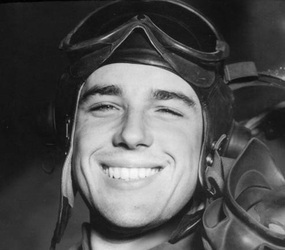 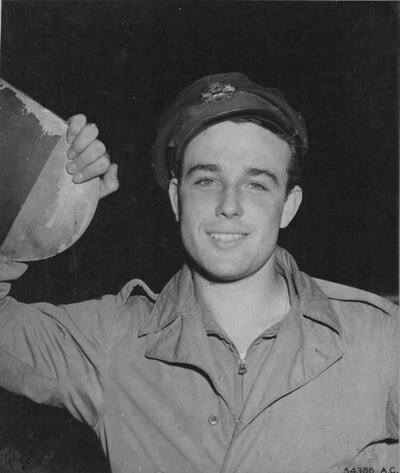 Though only one of the four guns of the P-51 was firing, Ben Drew managed to take out the enemy aircraft after it broke away. Drew finished the war with 6 aerial and 1 ground victory including two Me 262 jet fighters that he shot down on 7 October 1944. 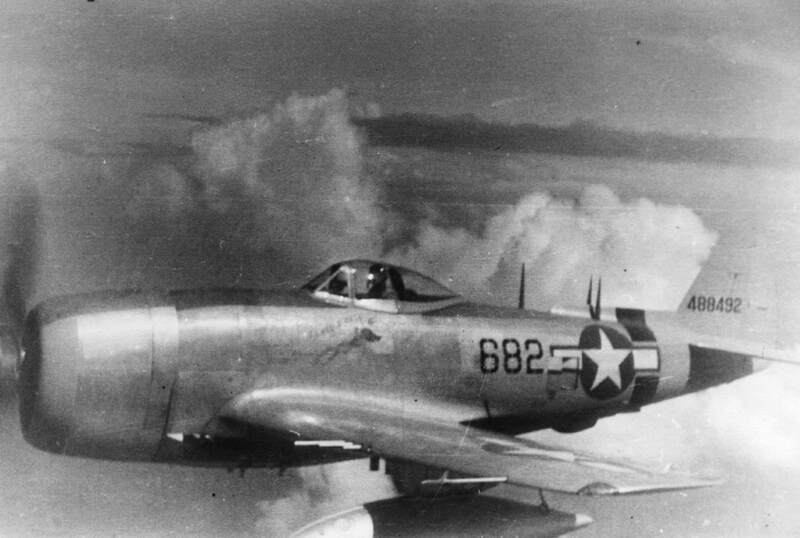 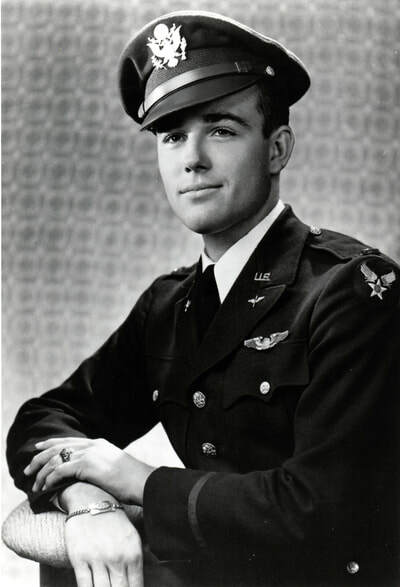 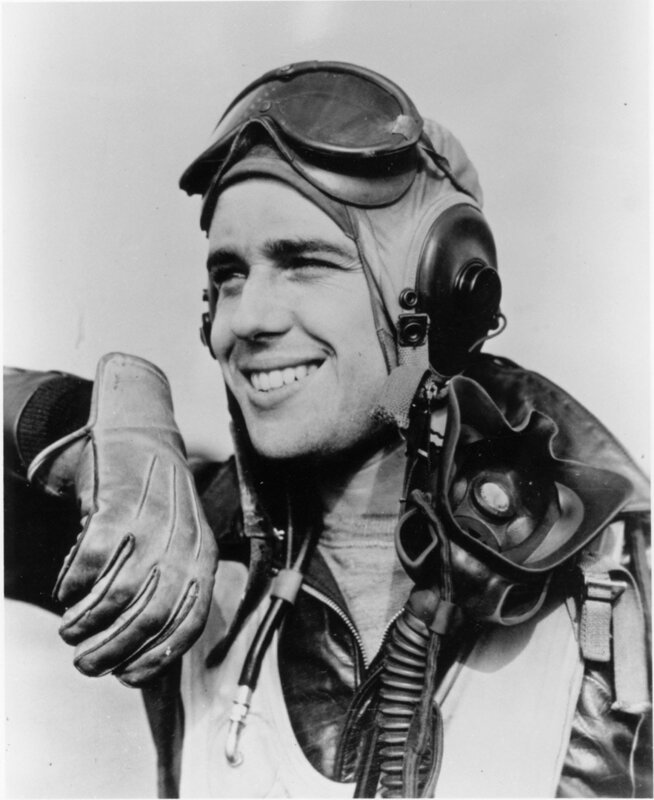 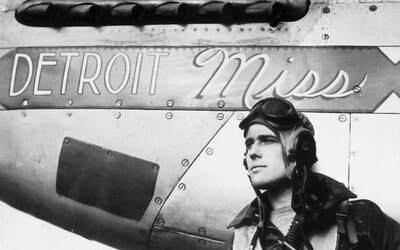 Drew was the first American pilot to shoot down two of these advanced jet fighters. 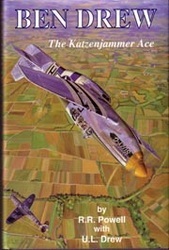 "The Katzenjammer Kid" was commissioned for the cover of "Ben Drew: The Katzenjammer Ace", a biography penned by R.R. Powell in collaboration with Drew.